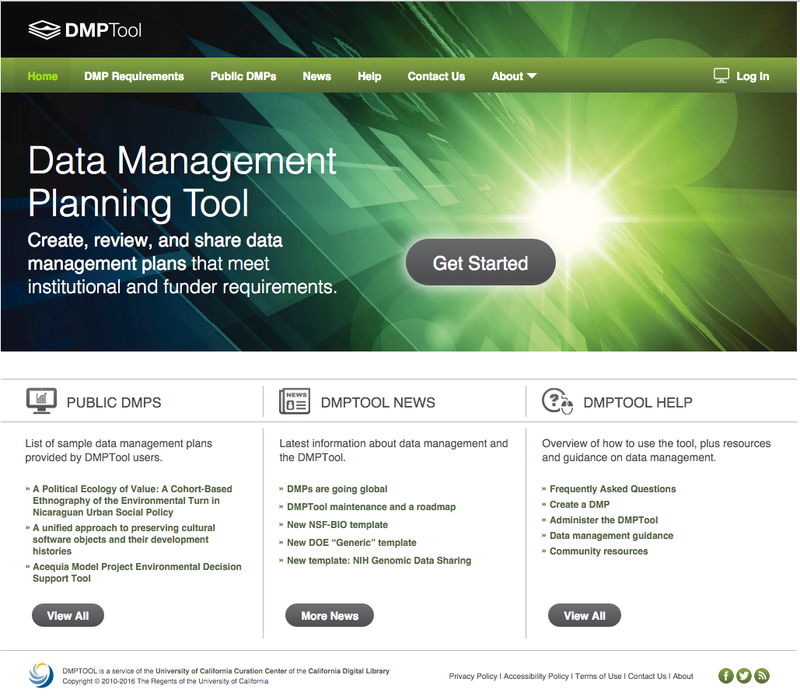 DMPTool.org allows you to create, review, and share data management plans that meet institutional and funder requirements. Staff in the Center for Digital Scholarship are available for personalized reviews of data management plans prior to proposal submission. Click the big Get Started button in the middle of the screen. Select Miami University (OH) from the drop-down list of institutions on the next page. Enter your Miami unique ID and password on the MUNet Login Page. On the next page, click the green Create New DMP button and follow the prompts. For questions about using DMPTool.org or to arrange a personalized review of your data management plan, contact Eric Johnson, Numeric and Spatial Data Librarian, Center for Digital Scholarship, King Library (513-529-4152). Data image by By DARPA (Defense Advanced Research Projects Agency), via Wikimedia Commons, public domain. This entry was posted in Grantwriting and tagged data management plan. Bookmark the permalink.